Today’s users are on-the-go now more than ever. That means content has to be consumable, attention-grabbing and engaging – and do so quickly. 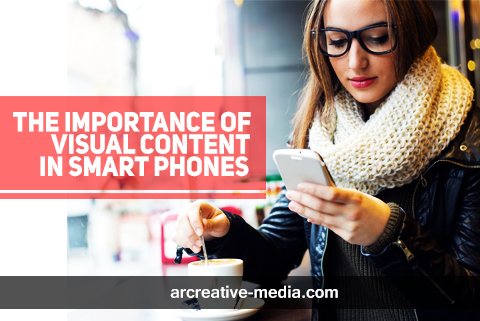 Smartphones are becoming even more sophisticated and able to load and play a variety of content. 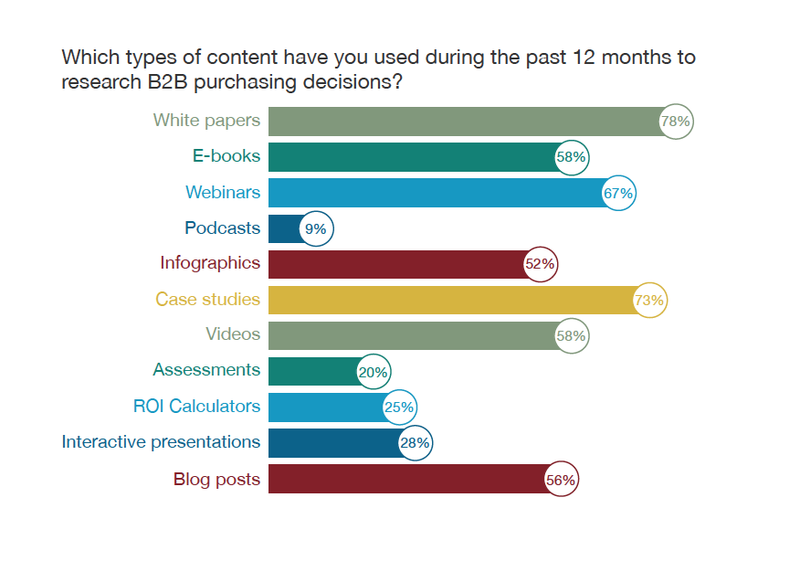 According to a survey from DemandGen on B2B content preferences, it turns out that buyers want short, visual, more optimized content. The fact is, people are relying on this kind of consumable content to make reliable, well-informed buying decisions. Having visually attractive, impressive content like videos, interactive presentations and animations can further solidify this confidence. For example, in 2014, when the survey was released, use of video content increased to 58% from 50% the previous year. Consider that now the percentage is even greater. Although whitepapers, case studies and webinars are still the most vital areas, videos and presentations are catching up quickly. 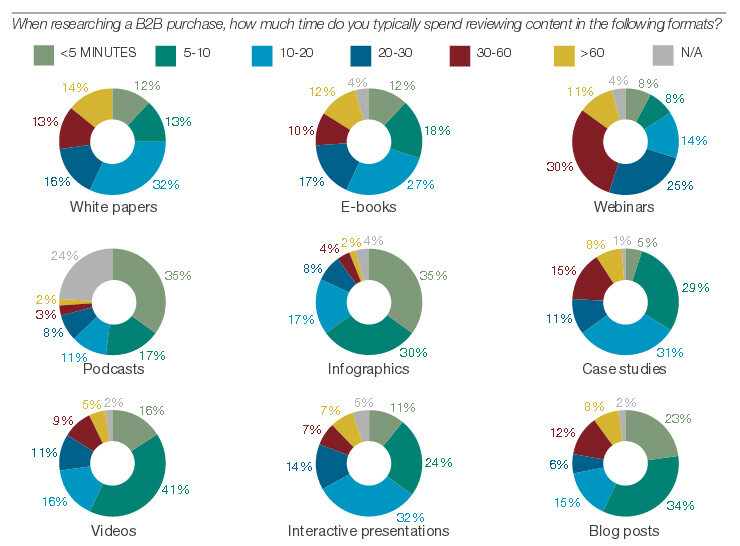 The fact is, most people don’t have the time or inclination to go through page after page of a whitepaper or ebook. And although webinars continue to be popular, they often require B2B sellers to set aside a significant slot of time to attend the webinar – time that simply isn’t available. This is where videos and presentations can truly shine. 86% of buyers polled in the study wished to be able to access interactive content or visual content on demand, and the number of buyers who felt strongly about this increased from 34% in 2013 to 46% in 2014. That number is likely much higher now. Interactive content and videos are some of the top most-shared content, leaping well beyond white papers and webinars, which are often behind a wall of registration that may or may not be mobile responsive. People want to consume content need real, actionable information they can make a decision on sooner rather than later. If you think mobile content users are a small minority – think again. What Devices Are People Using? Although desktops and laptops still rule the roost, mobile phones and tablets are catching up quickly. Many predictions show mobile will overtake desktop/laptop in the next few years – so why get left behind or struggle to catch up when you can engage the fastest growing share of users on any device right away? A video or interactive presentation can do just that. This then begs the question: beyond the devices being used, how has the way we consume content really changed over the last few years? Where are B2B companies getting their information from and how do they know it’s credible? 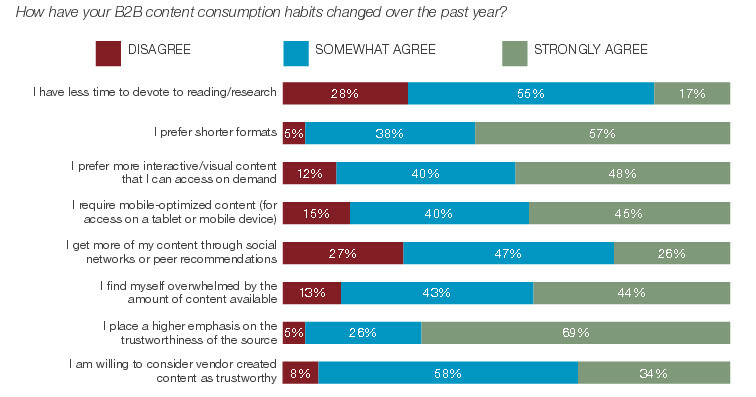 The survey looked at those numbers too and found that while most decision-makers trust the recommendations of their peers first and foremost, they still actively look for content that’s available on demand – content that’s trustworthy, short and optimized. Knowing that they have a preference for shorter, more concise content – you can clearly see that white papers, ebooks and webinars all require a significant amount of time (greater than an hour), while videos and presentations require far less. They’re not as short as, say, infographics or blog posts, but still provide the kind of easily understandable information beyond facts and figures, that can help provide a compelling case for keeping your product front of mind. What We Can Learn from This Information? What can we infer from all of these charts and timeframes? People have far less time than a few years ago, and need to stay connected with information that they find reputable and valuable. Video and interactive content fills both of those needs, and is easy enough to stream on a variety of devices. There are a lot of things vying for the user’s attention. Their smartphone is one of the few areas where you can truly hold the prospect’s interest for a considerable amount of time. That means that whatever you produce has to be informative, interesting, engaging and credible. Content of this nature (videos and presentations) simply won’t be as effective if it is poorly planned and produced. That’s where ARCreative can help. As leaders in the digital presentation and production field, we have the experience, expertise and capabilities to craft engaging, highly illustrative presentations and videos that go beyond the ordinary. We diligently design animated processes and procedures that break down even the most complex creations into smaller, easily understandable pieces, so that the finalized piece practically sells for you. What’s more, the content we create is designed to perfectly align with your existing sales and marketing strategies – conveying the same type of brand message and impression so as to create a seamless “flow” between your existing marketing and our own creative touch. Want to learn more? Get in touch with us today and let’s work together to create something that will inspire, amaze and impress. Browse our full portfolio to see precisely what we’re capable of, and let’s take your product’s promotion to the next level. Dror is the founder and CEO of ARCreative. 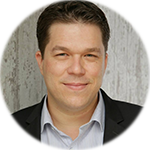 He founded the company to provide expertly crafted videos, illustrations and designs that break down even the most complex and advanced products into easy-to-understand results for their clients, users and patients. Send us Message about your question Let’s Get in Touch!